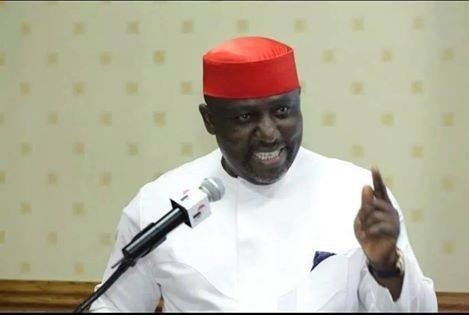 Governor Rochas Okorocha of Imo State has rejected the appointment of his daughter into the board of the Federal College of Education, Omoku, Rivers State. Uju is married to Dr. Uzoma Awuka. He is the son of Nigeria's Minister of Education for State and former Secretary to Imo State Government, Prof. Anthony Anwuka. In a statement released by his aide, Okorocha said he is unaware and called on whoever is behind the appointment to withdraw it. “The attention of the Governor of Imo State, Owelle Rochas Okorocha has been drawn to the publication listing one of the daughters, Mrs. Uju Rochas Anwuka as a member of the Board of the Federal College of Education (Tech), Omoku. “And it is important to swiftly state, with every sense of concern, that the governor had read about the appointment like every other Nigerian because he was never consulted or briefed on the appointment and that is why the whole thing looks suspicious. “To the governor, the appointment was obviously not done in good faith. Whoever was the brain behind the appointment did so out of unbridled mischief. “The truth of the matter is that the governor’s daughter does not need the appointment. The governor has, therefore, asked whoever was behind the appointment to withdraw it since the daughter would not have needed the appointment, even if he had not become governor. “Indeed, the governor has the feeling that whoever was behind the appointment did it with something else at the back of his or her mind, otherwise the person would have acted well his or her part by informing him or the mother or even the daughter herself. “The daughter and the entire family reject the appointment,” the statement read.